Osteopathy can be very helpful in alleviating discomfort during pregnancy and in preparing expectant mothers for the birth. Typical symptoms during pregnancy result from the gradual changes in posture as the pregnancy advances and these include low back pain, pelvic pain, symphysis pubis dysfunction, indigestion, heart-burn, and joint swelling. Gentle osteopathic techniques are perfectly safe at any stage of pregnancy. Post-birth, osteopathy can help the body to return to normal and to resolve any issues that may arise in caring for the new baby. At birth, the head of the baby is relatively soft and pliable which makes it vulnerable to trauma, and even for so-called ‘normal’ deliveries, the baby’s head is compressed, twisted and moulded in order to facilitate the birth. A baby born by c-section. There can also be quite a lot of force used to bring the baby out backwards from the pelvis. Many parents now choose a more natural approach to helping their children overcome such problems. Paediatric osteopathy uses gentle manual techniques to bring about profound changes within a child or young person’s body, using non-invasive but highly effective rebalancing procedures. These allow the different body systems – the nervous, immune, muscular and circulatory systems – to work effectively. This is not painful or uncomfortable for children. The osteopathic management of children at all ages is rewarding as the aim is to ensure that every aspect of growth is taking place appropriately, resolving issues promptly as they arise. Dr Julie Ellwood is a fully qualified Registered Osteopath. She graduated from the College of Osteopaths in London in 2004. Since then, Julie has pursued her special interest in the care of children and babies by undertaking several post-graduate paediatric courses. Julie completed her Professional Doctorate in Osteopathy through the University College of Osteopathy in London in April 2016, and was the first student to be awarded DProf (Ost) status. Her research study was investigating the cause of unsettled infant behaviour with particular focus on postural asymmetry and was conducted under the supervision of Professor Alf Nicholson, paediatrician at the Childrens Hospital in Tallaght. The findings of this study have since been published in the peer reviewed European Journal of Pediatrics (DOI 10.1007/s00431-017-2993-x). Julie also co-authored the recent systematic review of manual therapy for excessively crying infants published in (BMJ Open http://bmjopen.bmj.com/content/8/1/e019040). Julie has an MSc in Applied Haematology and a Diploma in Biomedical Science and Sports Medicine. She is the mother of four children and established the Babybloom clinic for the multidisciplinary care of mother and baby in Strandhill on the west coast of Ireland. 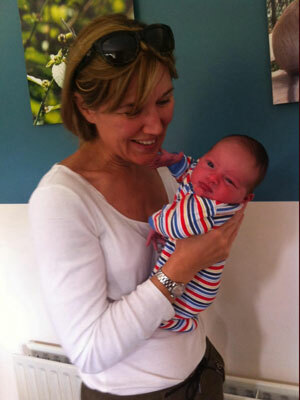 Julie is a clinical mentor for the Sutherland Cranial College Masters in Paediatric Osteopathy. She is registered with the Osteopathic Council of Ireland (OCI), the General Osteopathic Council (GOsC) and the Sutherland Cranial College (SCC). Julie Ellwood is a highly skilled osteopath. She has made a significant contribution to my own health and wellbeing, and to the health of my family. Julie’s ethos is one of continuous learning, supported by her natural gift for healing and her strong intuition. This combination of learning, skill and intuition creates a great practitioner.